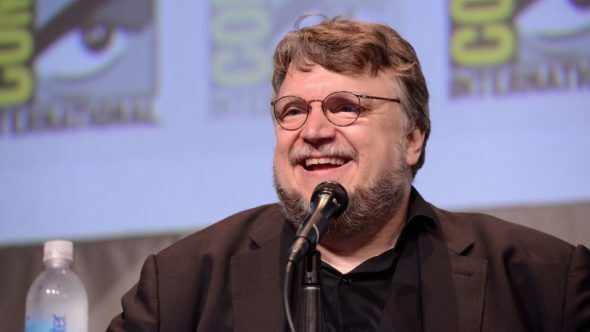 Guillermo del Toro is coming to the small screen. Deadline reports Amazon has picked up a new pilot from the filmmaker titled Carnival Row. The dark drama comes from del Toro and Travis Beacham, who co-wrote the 2013 film Pacific Rim together. Carnival Row “is set in the future in a city called the Burgue, which looks a lot like 18th Century London. It is inhabited by humans and other creatures, and a serial killer is on the loose.” The pilot is based on an 11-year-old spec script from Beacham titled A Killing on Carnival Row. Beacham will executive produce alongside del Toro and Rene Echeverria. The project joins four other pilots picked up by Amazon, including a pre-revolution Cuba drama titled Tropicana. What do you think? Are you a fan of Pacific Rim? Would you watch Carnival Row? More about: Amazon TV shows: canceled or renewed?, Carnival Row, Carnival Row: canceled or renewed?